Alfred the Gorilla's dominance over as Charlie Fox wins by a nose! Watch the 2018 Mascot Derby at Edgbaston, as Charlie Fox saw off the competition! 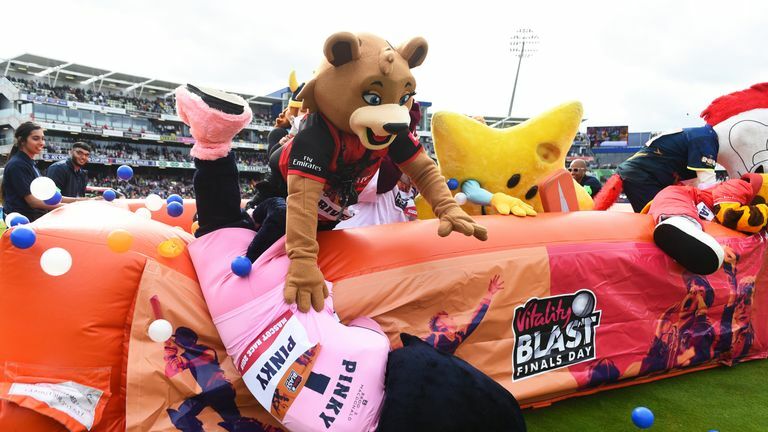 Alfred the Gorilla's dominance of the Mascot Derby at Vitality Blast Finals Day is over, after Leicestershire's Charlie Fox denied the primate a third win on the spin. Alf, to his credit, made a swift start to the race at Edgbaston but was quickly reeled in by Charlie, who then proceeded to make his way through the obstacles with ease. Durham's River the Lion made a late push, even overhauling the Leicestershire mascot at one stage, but Charlie found a second wind to seal the contest on the line by a nose. River was later disqualified for failing to circumnavigate a large white cricket ball, which, I think, means Alf, who came third, has now been upgraded to the silver medal. Watch the 2018 Mascot Derby, which Bumble, as usual, commentated on, in the video at the top of the screen.